Most of us work for a living, balancing our day-to-day responsibilities and desires. When it comes to our place of employment, we all have a choice, yet we want to feel good about what we do and the people we surround ourselves with. With opportunity everywhere, one retail company, Lowe’s Home Improvement based in Mooresville, NC, has adopted a philosophy of “Active Caring” and are putting action behind their words to be sure their employees know their well-being is always at the top of mind. 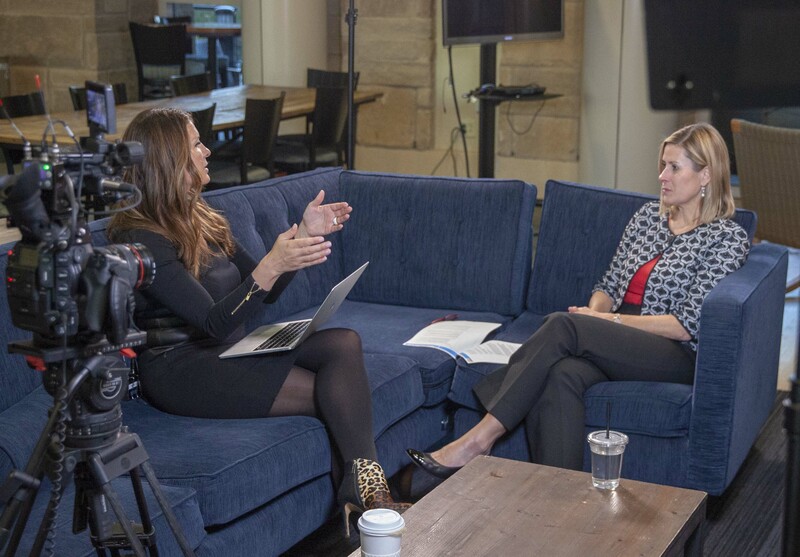 Executive Vice President, Human Resources, Jennifer Weber shared corporate level intel about their family-concierge and encouragement style benefits to support a life, work balance vs. work, life balance. What exactly is active caring? Lowes has a dedicated research team to find out what makes employees tick. “My job is to keep our employees healthy, safe, and know they are cared for. Our associates are the foundation of our business, so we strive to provide a workplace experience that meets their needs and the needs of their families. We know that when we take care of our associates, they are motivated and equipped to deliver that same level of care to our customers. To make that happen, there is no other way than for everyone at Lowe’s to have each other’s backs. If someone sees something, needs something, or wants to develop their career skills, we have things set in place to help, educate, care, and keep everyone safe, healthy, and inspired,” Weber expressed. Lowe’s practices a non-negotiable in keeping employees safe and well, and encouraged. Lowe’s has dedicated safety experts who are equipped to help associates stay safe while also being as productive as possible. If anyone sees something unsafe in the workplace, they immediately speak up. There is no pecking order or corporate hoop to jump through to keep employees safe and well. Everyone serves each other, and the company takes that even further with their company concierge. Lowes and Weber are thought, leaders. The corporate headquarters is implementing what they are calling The Workshop, a fitness, and wellness center. The campus already offers a variety of culinary options, as well as walking trails that wrap around a lake, and indoor/outdoor nooks and crannies for fresh air or meeting spaces. “We want to inspire creativity and a sense of well-being. Adding The Workshop with fitness classes such as yoga and spin, as well as ping-pong and foosball is a place we can all get away from our desk, help reduce stress and convene with colleagues. The better experience our Lowe’s family has, the more engaged, productive, and happier we all are. And the more we care about our employees from an organization standpoint, the better service, and experience our customers have,” Weber informed. The company puts money where their mouth is in supporting and uplifting each other to follow their dreams and aspirations. Lowe’s provide each associate with 8 hours paid time off to give back to the community organization of their choice. Each employee’s needs and desires are different, and they want to honor that and use that in future decisions, such as solutions to enabling employees to switch shifts among themselves without engaging with their manager. Summed up, Lowe’s is about encouraging everyone to be their best. In supporting employee goals and desires, the company has established a trade certification program, Track to the Trades, for its employees. They are helping employees learn new skills at no cost to them. If the associate decides to find a job in their newfound trade, Lowe’s will even help place them in their network of contractors across the country. One of the first graduates of the program was a female associate whose home was destroyed in a hurricane. She wanted to learn carpentry so she could rebuild her home and save on expenses. Active caring from the ground up is what Lowe’s is all about. Making decisions from the top of the corporate level can’t happen without having boots on the ground. CEO, Marvin Ellison, is a firm believer of getting in touch with employees. Those working in retail locations are the eyes and ears of an organization, and why all executives worked a shift on Black Friday. “It was tough. It was so important to be in our stores and connect with our employees and our customers. It is a learning experience that helps us keep active-caring a priority,” Jennifer shared. Weber and Lowe’s have built a foundation to keep building upon to continue providing the best life, work balance for their corporate family. Lowe’s is a company deserving of a hi-five and fist bump for prioritizing life before work!